Some of the major Settings changes are buried in the International menus. 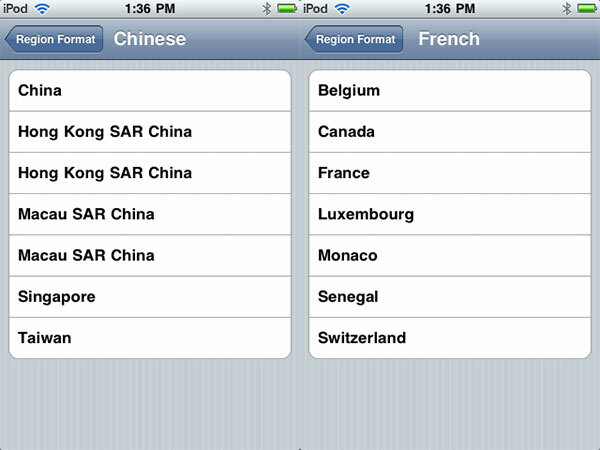 Amongst other improvements, Arabic, Greek, Hebrew, Indonesian, Malay, two Portuguese, and Thai keyboards have been added, along with region formatting and localization for new territories. Announced by Apple but not easily discoverable in the iPhone OS 3.0 software, Internet Tethering is a feature that enables the iPhone 3G to serve as a 3G cellular modem for a computer that’s attached either via a USB-to-Dock Connector cable, or Bluetooth—Apple’s dialog screen for the feature actually says “USB and Bluetooth” to suggest that devices might share the connection through both means at once. 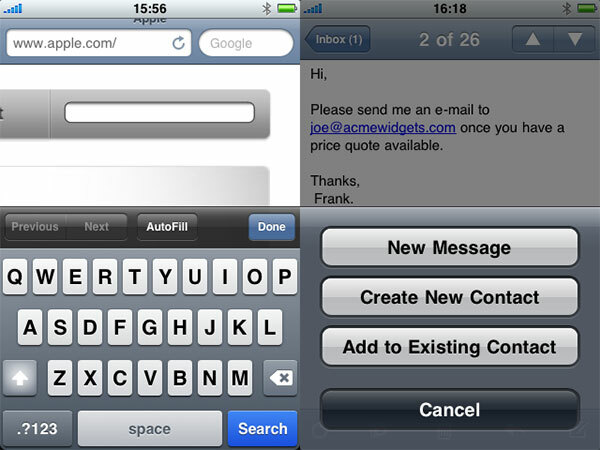 Developer Steven Troughton-Smith discovered a way to tweak the iPhone 3G’s settings to enable this feature. When active, it transforms the top of the screen into a purplish blue bar, which also extends to the full-screen battery charging unlock screen when the iPhone is connected via USB. 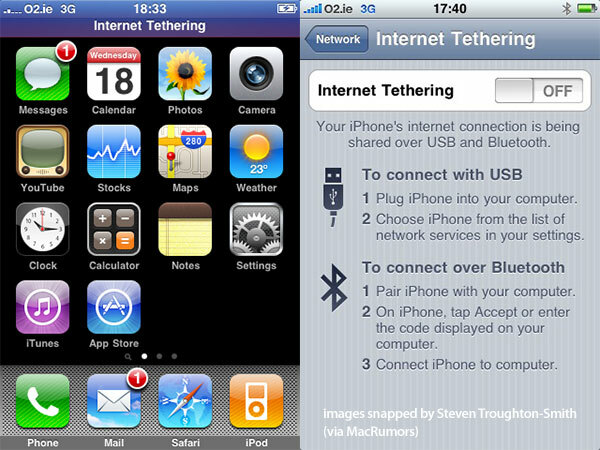 The words “Internet Tethering” appear under the clock on both screens to indicate that the feature is active. Some cellular networks may disallow use of the feature altogether, and it is highly possible that many networks will charge high fees for it. As of June 2009, AT&T has not announced a date when this feature will be accessible, but the U.K.’s O2 has announced that it will be available for £15 per month for 3GB of data, £30 a month for 10GB of data, each fee added on to the existing iPhone data plan. 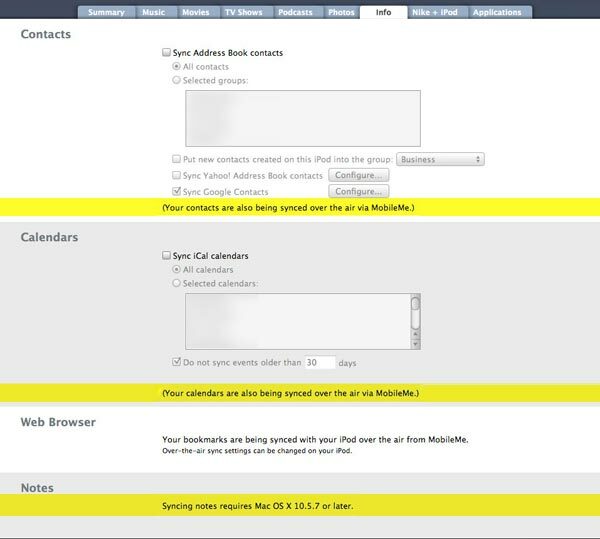 In addition to adding AutoFill, the aforementioned feature that can automatically populate web page fields with personal information you store as your personal contact information, Safari—and other applications—now offer more actions for on-page links, such as e-mail addresses, phone numbers, and web pages. When a link to one of these things appears on the page, you can hold down on the link to bring up a special contextual menu that lets you (a) send a new e-mail or create contact info for an e-mail address, (b) call, text message, or create contact info for a phone number, or (c) open or copy a web address. 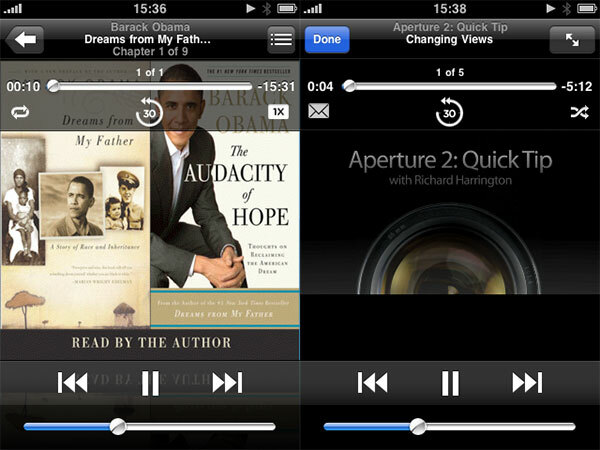 Small tweaks have been made to Audiobook and Podcast playback in the iPod app (iPhone) and Music app (iPod touch). Both audiobooks and podcasts have added “go back 30 seconds” icons that make it possible for you to easily jump back a few sentences, even in an audio file which is difficult to scroll through with the scrubber bar. In Audiobooks, there’s now an icon that can change playback speed, and in Podcasts, there’s an icon with an envelope, presumably to let you share the podcast link with a friend. The feature is apparently non-functional at this point, notes our source. 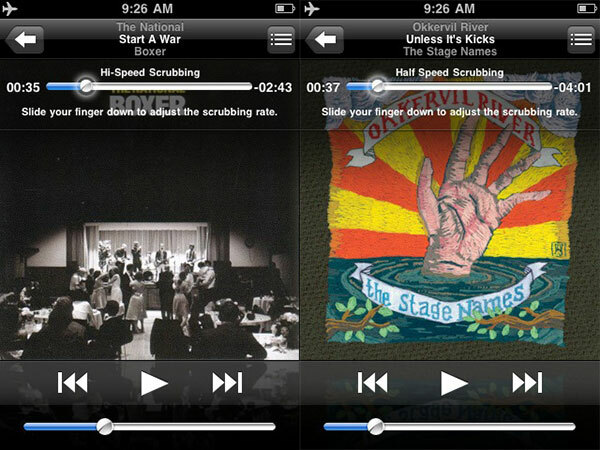 In order to improve “scrubbing”—the user’s ability to skip to a specific portion of a song by moving around on the song’s timeline—the third iPhone OS 3.0 beta has added a three-speed scrubbing bar that switches from “hi-speed” to “half speed” to “quarter speed” scrubbing if you slide your finger down. Prior versions of the iPhone OS forced the user to make more imprecise movements through the song using a single-speed scrubbing bar that rarely seemed to be as precise as it needed to be, a problem that increased with longer songs and super-long audio tracks since the same on-screen line needed to represent even more possible skipping points in the song. With the new three-speed scrubber, users will be able to choose the pace at which they skip through each track. 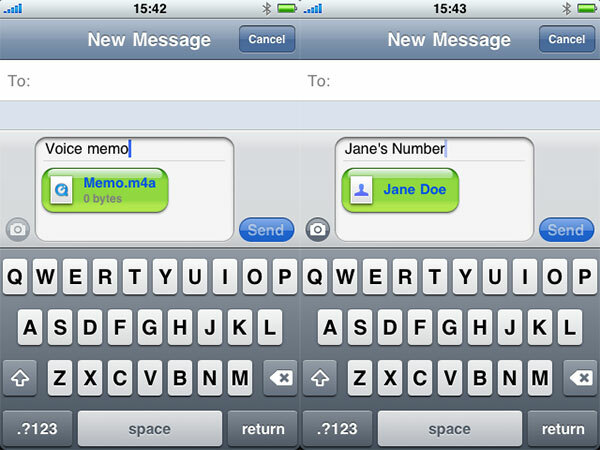 As noted above, the SMS “Text” app found on the iPhone and iPhone 3G but not iPod touch has been replaced with Messages, which now handles multimedia messages: images, audio files, contact information, and text can all be sent, assuming that your carrier offers support for MMS messaging. Images and text appear within text bubbles. Other files appear as icons that need to be clicked to be opened in other applications. 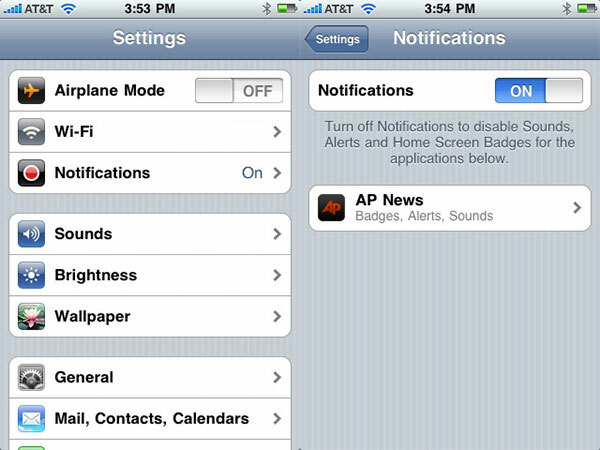 In the second beta release of iPhone OS 3.0, Apple turned on support for push notification services, which will allow certain applications to continue to send updates to the iPhone/iPod touch even when they’re not actively running on the device. 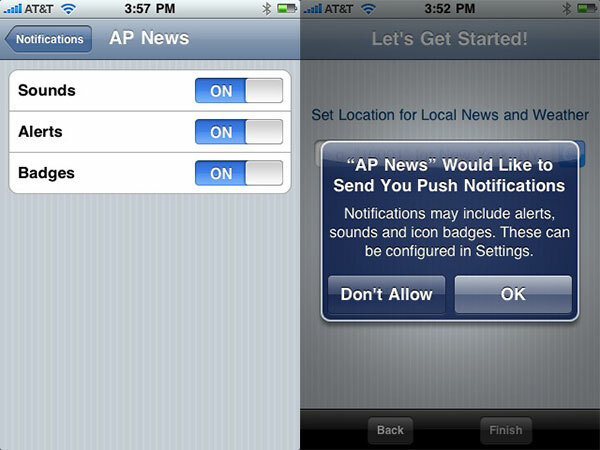 The company began more active testing of the feature with the fifth beta release, sending developers an Associated Press application with the ability to push notifications that might be text “alerts, sounds and icon badges.” A universal Notifications Settings menu allows alerts, sounds, and icon badges to be individually turned off on an application-by-application basis. 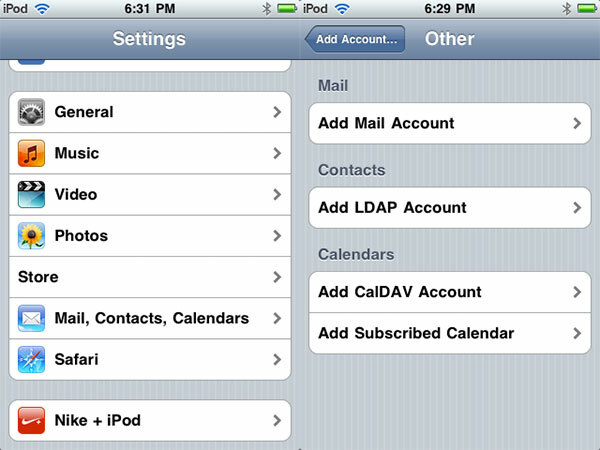 In addition, the second beta version of iPhone OS 3.0 added support for “Subscribed Calendars,” the ability to synchronize calendar information from sources other than iTunes and MobileMe. Screenshots are posted below. 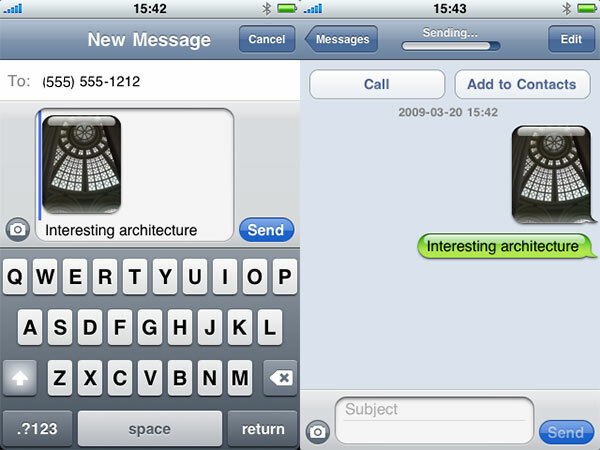 Further examination of the second iPhone 3.0 beta release led to the discovery of a number of hidden text strings and images that turned out to be features in the iPhone 3G S, ultimately announced on June 8, 2009. 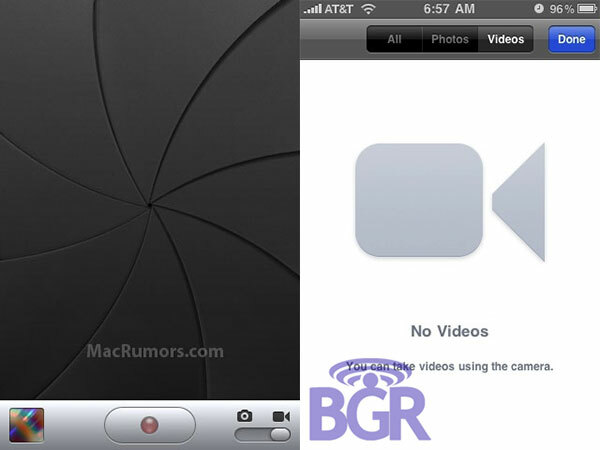 Images of video recording and editing tools were discovered within the software, requiring the iPhone OS to detect VGA (640×480) video camera hardware that is not present in the iPhone 3G before allowing the user to choose between still or video camera modes. The editor enables simple snippet-style video editing of recorded videos so users can cut down their clips for faster sharing. 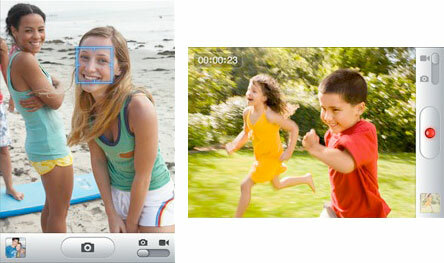 Videos can be sent directly from the iPhone 3G S to YouTube, MobileMe, MMS or E-mail. In still image mode, the iPhone 3G S now has a “tap to focus” feature that places a square on screen to let you manually focus on a specific part of the image you’re about to capture, as well as autofocus, auto white-balance adjustments, and a higher-resolution 3-Megapixel still camera. iPhone OS’s prior Photos application seems to have evolved into a new form, as well, with separate tabs for stored Photos and Videos. Apple’s official press images show that the Photos application remains under the name “Photos,” with “Camera” doing the same. Images of these features were first discovered by sources who leaked images to MacRumors and the Boy Genius Report, as watermarked below. MacRumors also reported the presence of text strings referencing an unknown Voice Control feature, and a magnetic digital compass feature. 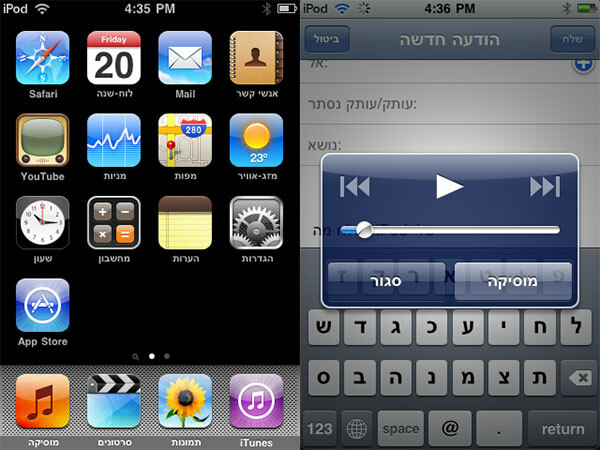 Voice Control enables an iPhone 3G S to have its iPod music and phone dialing functionality controlled by voice commands, with an on-screen wave form that shows what options can be selected and detected by the iPhone at a given time. The digital compass has its own new Compass app, which lets users see the direction they’re currently pointing in, and also integrates into Google Maps to provide the correct map orientation at a given moment, while aiding turn-by-turn driving applications and games in determining the user’s movement. 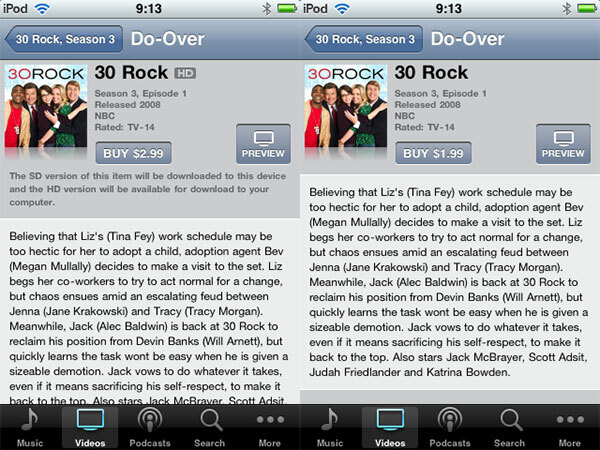 The small images here are from Apple’s official screenshots of these features in use. Additionally, the Boy Genius Report also noted a new battery percentage indicator option that expresses your remaining power numerically as well as graphically. 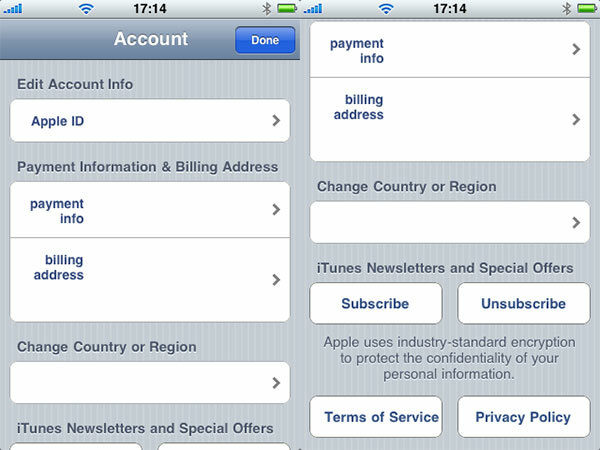 Slipped into the third beta version of iPhone OS 3.0 and still in early form visually as of the fourth beta version, the iPhone and iPod touch gained the ability to create, store and access iTunes Store account information, as well as to redeem Store credits and certificates. 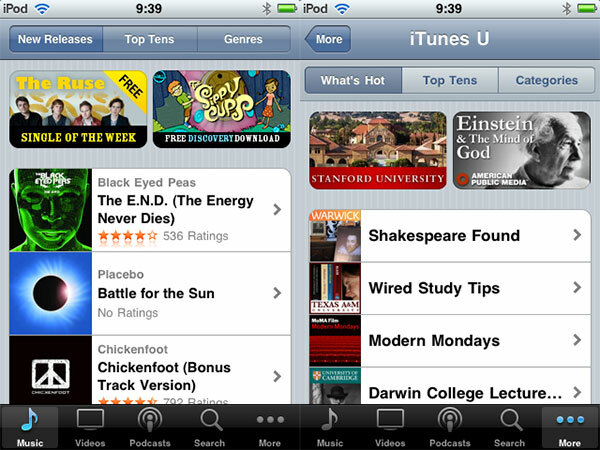 This feature was largely finished as of the final “gold master” release of the iPhone OS on June 8, 2009, adding the ability to download videos, audiobooks, and iTunes U content directly to the iPhone and iPod touch via the iTunes Store. The initial goal of this new feature addition was to partially untether these devices from a computer-based version of iTunes, enabling some users to handle everything from initial iTunes Store account setup to management without the need to use a Mac or PC. 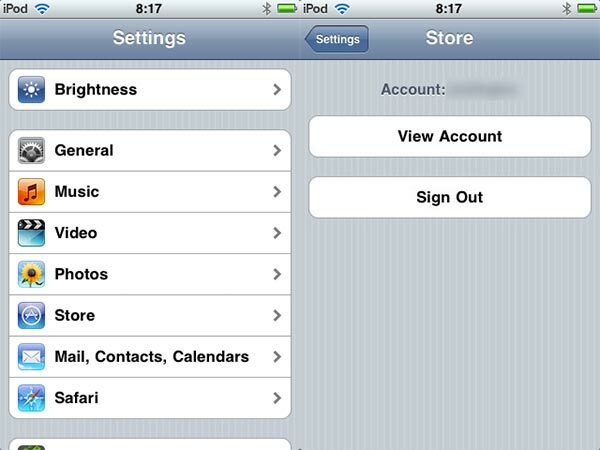 However, the need to preserve backups of content downloaded directly to the iPhone and iPod touch makes a computer an all but mandatory part of the experience. 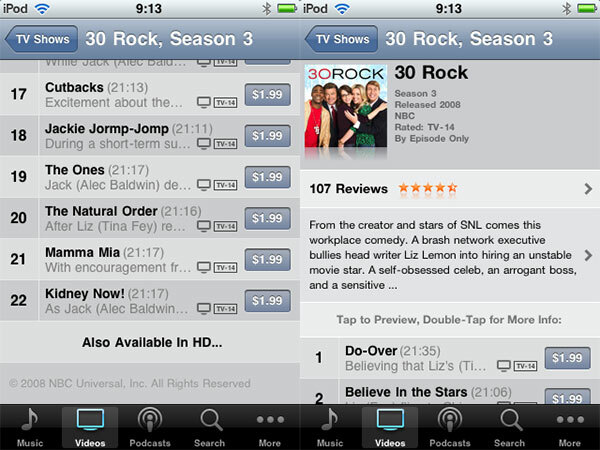 Apple’s redesigned iTunes application includes bottom-of-screen buttons similar to those in the prior version, but now with separate categories for Music, Videos, Podcasts, Audiobooks, and iTunes U; the specific buttons on the bottom of your screen can once again be user-selected based on which four of the different categories you want to see at once. Buried under “More” is a new button for Redeem, which lets users input gift certificates and promotional codes directly into the iPhone or iPod touch for purchases and free downloads. 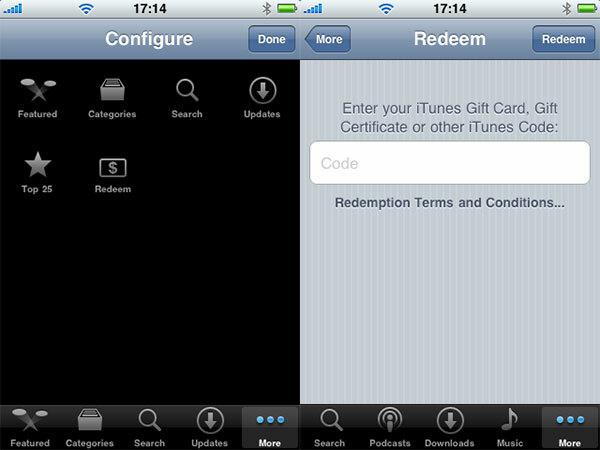 The App Store application also adds a Redeem option for the same purposes. 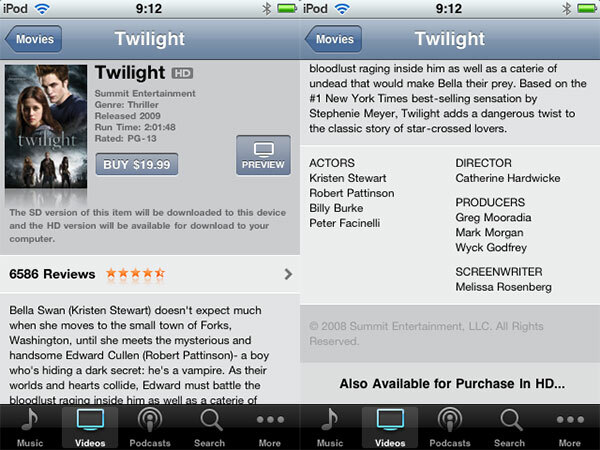 Video rentals are also available for movies at the same prices offered through the on-computer iTunes Store; obviously, only the standard-definition rentals are playable on the iPhone and iPod touch. Music videos are available as well. 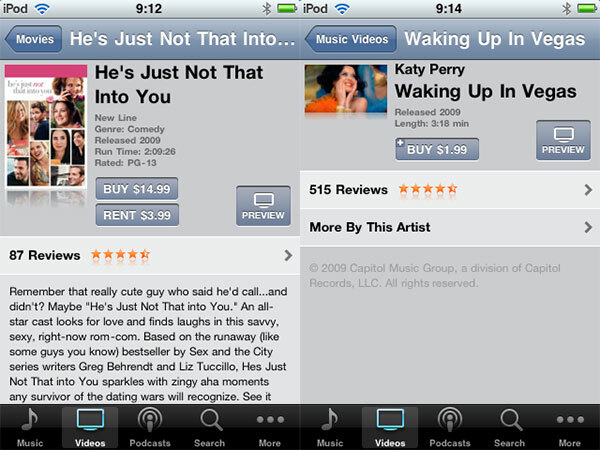 All videos can be previewed on the iPhone and iPod touch before purchase using a new Preview button. File transfers take considerably longer than with music and most audio content, as feature-length movies typically consume 1GB of storage space a piece. 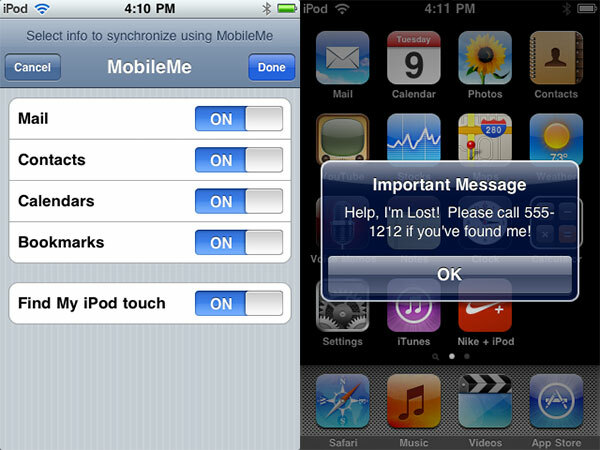 In addition to features that are available to all iPhone and iPod touch users, Apple has added a new feature that is only available to MobileMe subscribers: Find My iPhone, also known as Find My iPod touch. 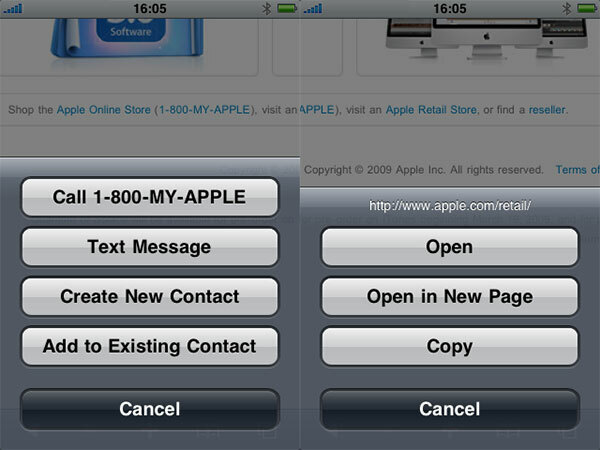 This feature enables the user to make his or her device—particularly an iPhone, iPhone 3G, or iPhone 3G S—produce an on-screen text message and a sound effect when it has been lost or misplaced, even if its speaker is turned off. Anyone who finds the device can then help to return it. 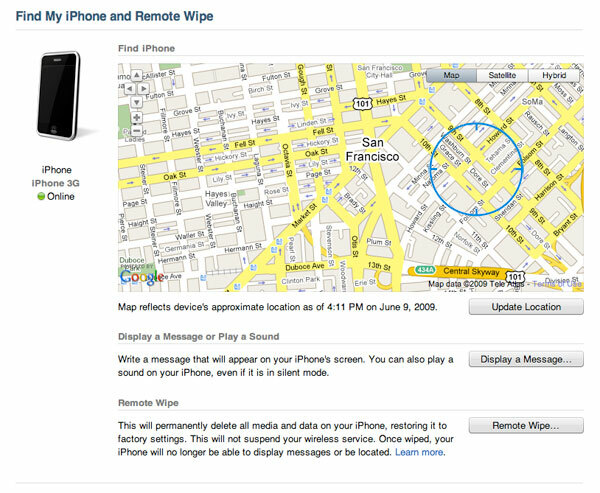 More importantly, Find My iPhone or Find My iPod touch can be used to locate the device on a Google Map, assuming that it has both battery power and a network connection. Using MobileMe in conjunction with the device’s integrated GPS or SkyHook triangulation location services, the user can trigger the device to signal its location on a map; users can also remotely erase the device’s contents in an up to two-hour process that also renders the device impossible to locate or send retrieval messages through MobileMe. For an iPod touch, the device must be connected via Wi-Fi in order to be capable of being located; for an iPhone, a cellular or Wi-Fi connection will work. 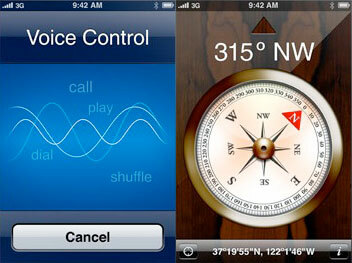 Location on the MobileMe map will vary in precision depending on the device and other factors. 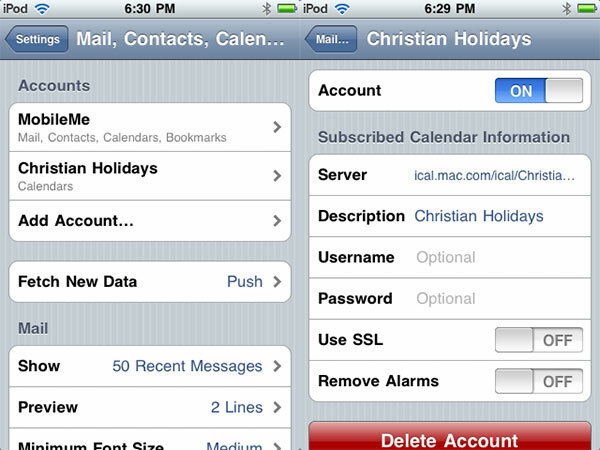 Apple says that there are 1,000 new features available to developers in iPhone OS 3.0. Many will be revealed in the months to come. 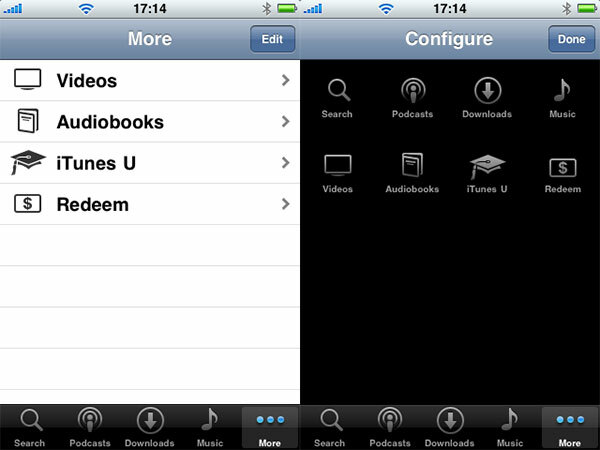 A handful of small changes are already apparent in iTunes 8.1 when connected to an iPod touch or iPhone running 3.0 software. A new Encrypted Backup feature appears, enabling users to securely backup and restore the contents of their devices—complete with password protection—rather than keeping easily disassembled archives of their contacts, e-mails, photos, and apps sitting on their computers. 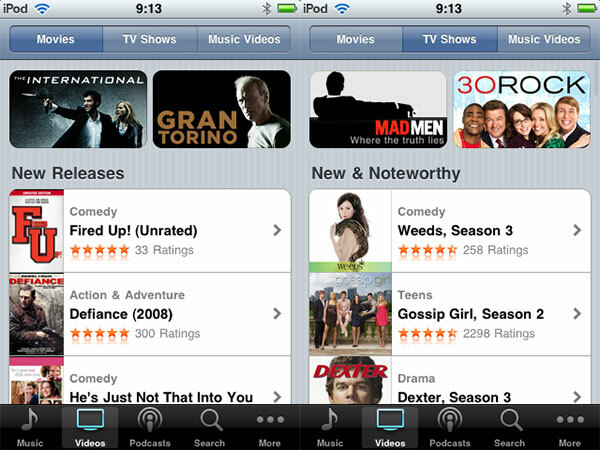 Notes composed on the iPhone or iPod touch can now be synchronized with iTunes. Prior to April 28, 2009, it was unclear whether this synchronization will be expanded further with the release of Mac OS X Snow Leopard, or with a subsequent version of iTunes. Released late at night on April 28, 2009, a beta version of iTunes 8.2 for the Mac provided additional information on Notes synchronization: “syncing notes requires Mac OS X 10.5.7 or later,” and apparently, iPhone OS 3.0 will require the use of iTunes 8.2 or later. It’s unclear how Notes synchronization will work on the PC. Additional features will most likely be added to subsequent releases of the iPhone OS 3.0 between now and Summer, as well as to iTunes.